I’ve been keeping my eye on the #NSale the past few days, and have noticed some of my favorite items coming back in stock for a limited time. They always sell out again rather quickly, so the trick is to act fast if you’re sure you want it. I alway like to stock up on fall cardigans, denim, and basic tees. I just thought id share a quick update of some of my favorite items still in stock in most color/sizes. Hope you all are loving this sale as much as I am. I just cannot get enough, and cannot wait to wear these fall items in Alaska next week! Nordstrom, you are bad news for me! 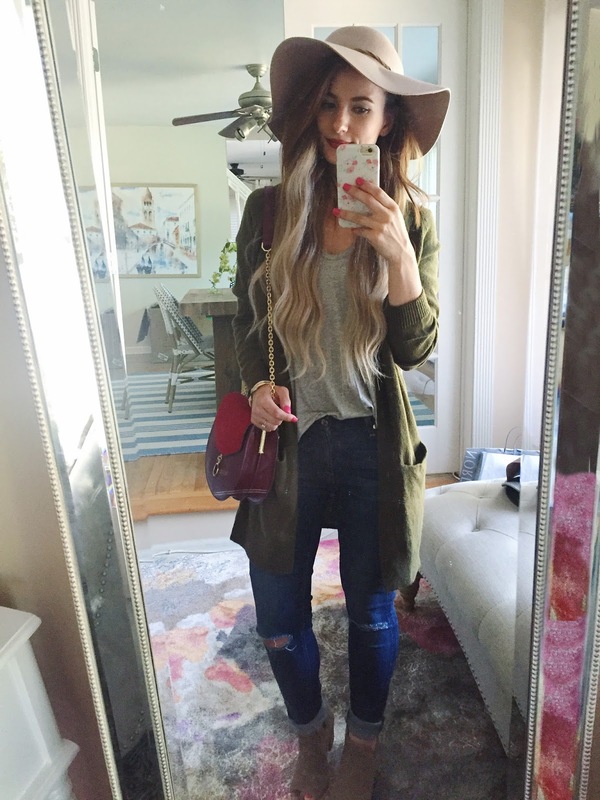 Wonderful look, adore this hat! i want that bp open front cardigan!! i am totally kicking myself for not ordering it earlier! i love all your picks!